All the equipment you’ll ever need! 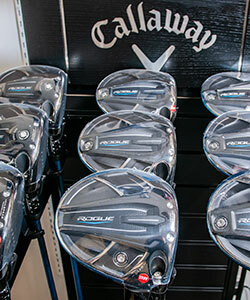 As an authorized Ping, TaylorMade and Titleist fitting center, you are invited to try clubs on our range before you purchase them and we include custom fitting on all equipment at no extra charge. 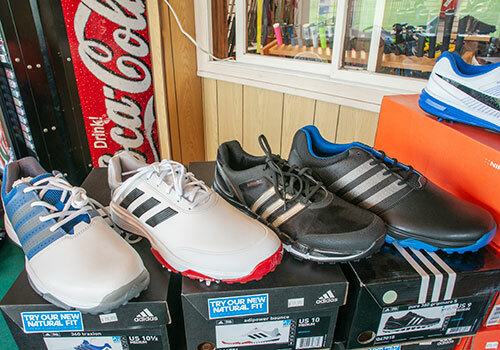 See the Google Virtual Tour of our Pro Shop below. 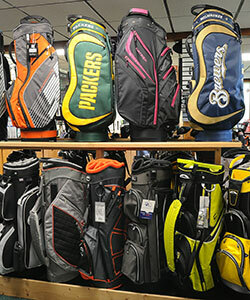 Visit our Pro Shop to get outﬁtted with the latest equipment, inquire about range membership, bucket passes and expert advice from our PGA Professional as well as our expert staff. Club ﬁtting appointments are suggested. 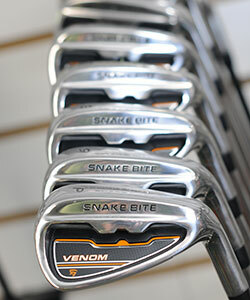 We carry WINN, Lamkin, Golf Pride, Karma, SuperStroke as well as name brands. Please call for current pricing. Club repairs are usually done within 24 hours. Regripping is usually done within 24 hours, but depending on the number of clubs, can be done while you wait or within a few hours. 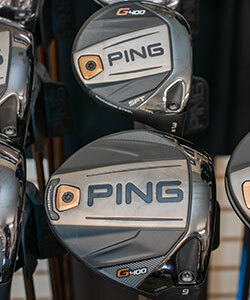 Here at Bisbee Golf Center, we want you to have the best club ﬁtting experience possible which means we do recommend that you schedule a ﬁtting appointment. 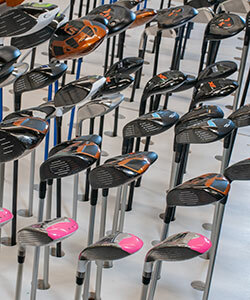 We like to give you our undivided attention during the club ﬁtting. Club ﬁttings and lessons are done seven days a week. Why is custom club ﬁtting so important? It is with the hope of getting better that most people purchase new golf clubs. 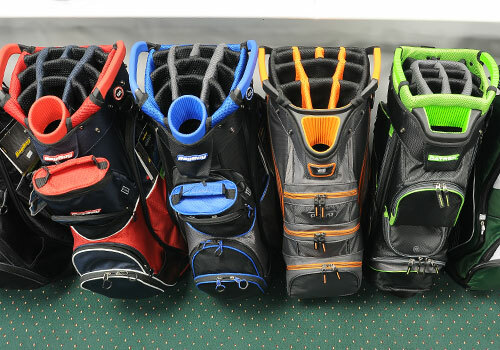 People can spend hard earned money on a new set of clubs only to ﬁnd their scorecard remains the same. One reason the new equipment doesn’t improve a player’s game isn’t necessarily the equipment. Golf clubs today are deﬁnitely easier to hit and go further than just a few years ago. The problem lies in the fact that the equipment isn’t “ﬁt” to the player’s swing. If a player’s equipment doesn’t ﬁt, he/she cannot make an efﬁcient golf swing. Many players try to make compensations for their equipment, only to ﬁnd their game getting worse and feeling frustrated over money not so well spent. Advertisements for the “latest and greatest” golf clubs that will revolutionize your game are everywhere. The technology that goes into these new clubs won’t necessarily revolutionize your game as the companies claim. In fact, it could make your game worse if not properly ﬁtted to your own swing. If the loft, lie angle, shaft weight or ﬂex or length is wrong, no matter what technology the companies claim to have is not going to improve your game. 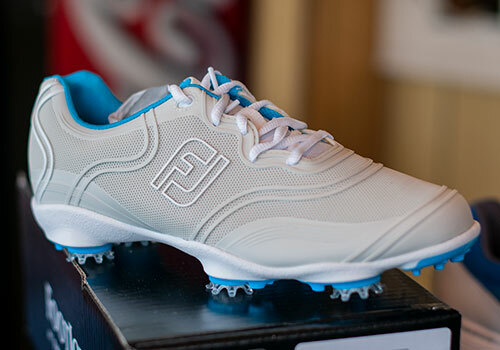 It’s the custom ﬁtting process which allows a player to beneﬁt from the technology. 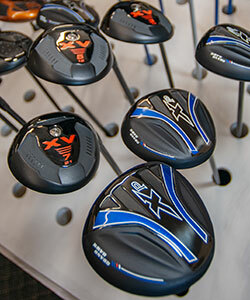 When a player goes through a proper ﬁtting, many variables go into the process. Length: the length of a club has a great deal of inﬂuence on how consistently a player can return to club to impact. If a player doesn’t have the correct length of club, it is very difﬁcult to get into correct posture at address. When a player’s posture is incorrect, or off balance, the player will seek proper balance during the swing and change the path of the club. 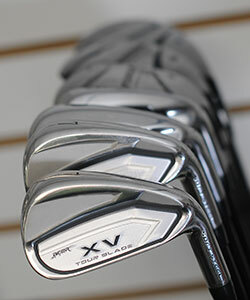 Shaft Flex: the shaft is the “engine” of the golf club. When a shaft ﬂex does not match a player’s swing, it will affect both trajectory and the curvature of the ball. The correct shaft ﬂex will maximize distance and tighten shot dispersion. Lie Angle: the lie angle of the club is the angle of the club relative to the sole and ground. The lie angle of the club has a huge inﬂuence in ball ﬂight. If a club is too “ﬂat”, the toe of the club will impact the ground and the ball will tend to push to the right (for a right-handed player). If the club is too “upright, the heal of the club will impact the ground and the ball will tend to pull to the left. 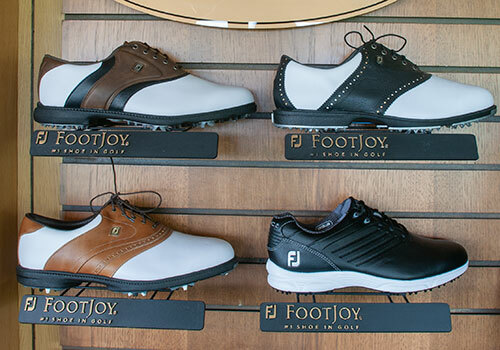 Loft: the loft of the club inﬂuences the trajectory of ball ﬂight and the trajectory affects distance. 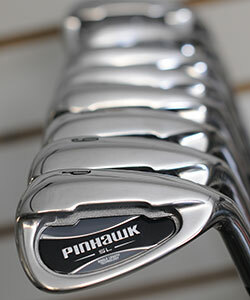 In a set of irons, the loft needs to be calibrated correctly so the distances from club to club are consistent. Loft of club is extremely important in drivers. 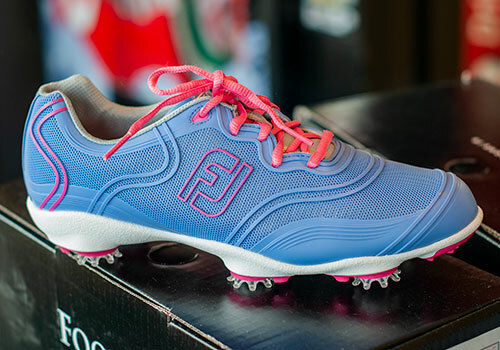 If a player is going to optimize distance, he/she must have the correct loft on the driver. It is a common misconception that less loft equals more distance. The belief is that if the ball is hit lower, it will roll more and go further. Truth is, with optimal trajectory, the ball carries farther, rolls less, but overall distance is greater. Grip Size: the size of your trip on your club affects the amount of hand rotation. Correct grip size allows the player to square the clubface at impact. If a grip is too large, it inhibits hand rotation and promotes a slice. Grips that are too small increase hand rotation and promote a hook. 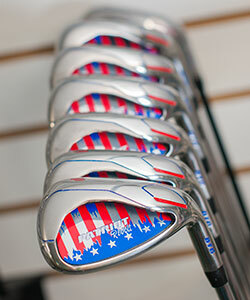 Getting golf clubs custom ﬁt, contrary to popular belief, doesn’t cost any extra when purchasing new clubs. Club ﬁtting should be done outside on a range as opposed to hitting into a net or simulator as true ball ﬂight is not effective or efﬁcient inside on a screen. Ball ﬂight results and the actual roll and break that happen on a real grass green can aid in comparing clubs. Testing clubs at a driving range like ours allows you to see where the ball goes in the air and test putters on a real grass green. 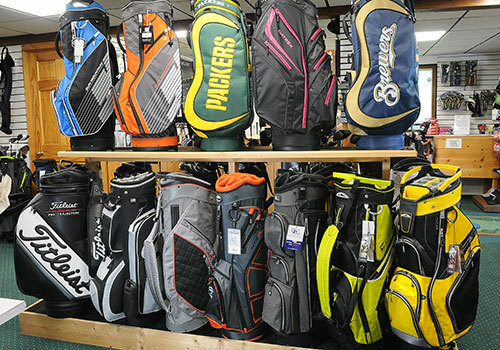 With the cost of new golf clubs today, it makes sense to get the proper ﬁt for your swing done by Bisbee Golf Center at no extra charge, offering you the greatest opportunity for success.